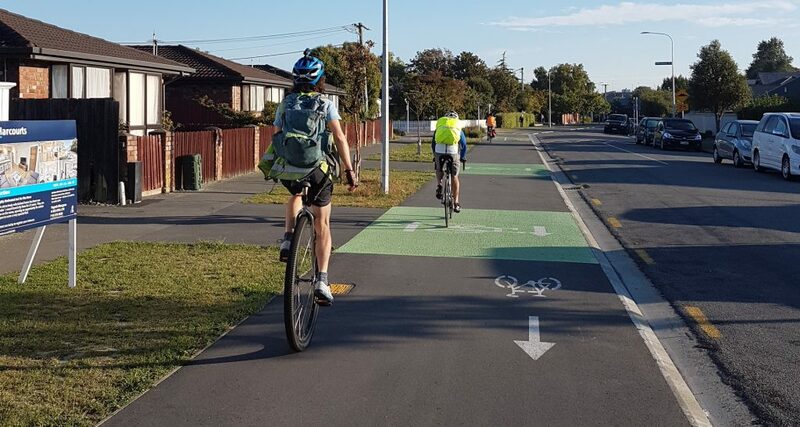 Up till quite recently, if you saw someone riding a bike in Christchurch there would have been a pretty good chance they would have been a male, aged 18-45, athletic, and dressed in a special outfit just for riding (lycra, hi-viz). In recent years we’ve realised that the reason no-one else rides bikes is mainly because they don’t feel safe sharing roads with traffic. A big part of what we’re doing around Christchurch now is aimed at changing that and building infrastructure that anyone can use. 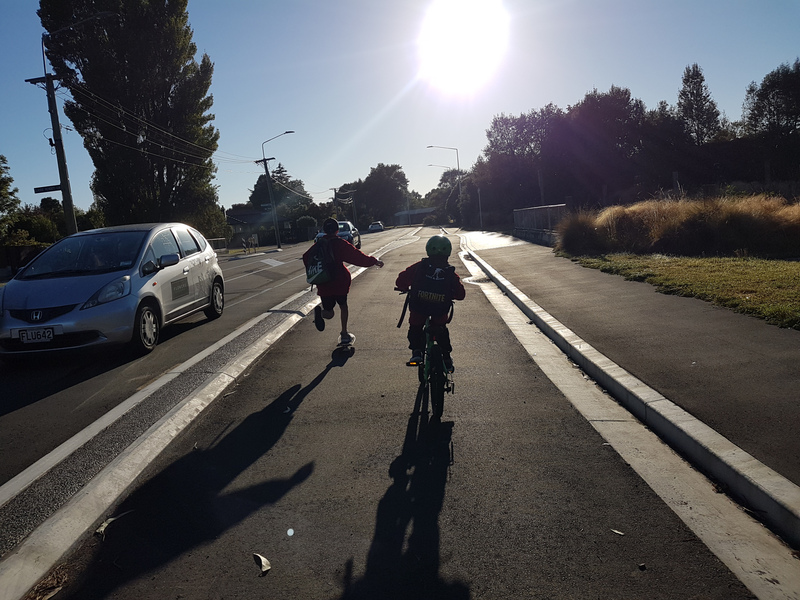 Designing for anyone aged 8-80 has been a goal of the cycleways. 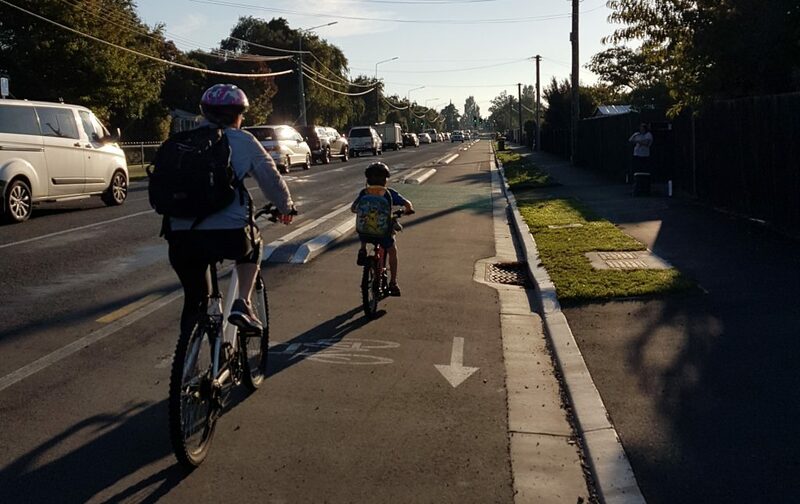 It’s purely anecdotal, but I reckon there is a noticeable shift in the types of people riding bikes in Christchurch, indicating that the approach is working. I’ve put together a selection of photos I’ve taken around town over the last couple of months. 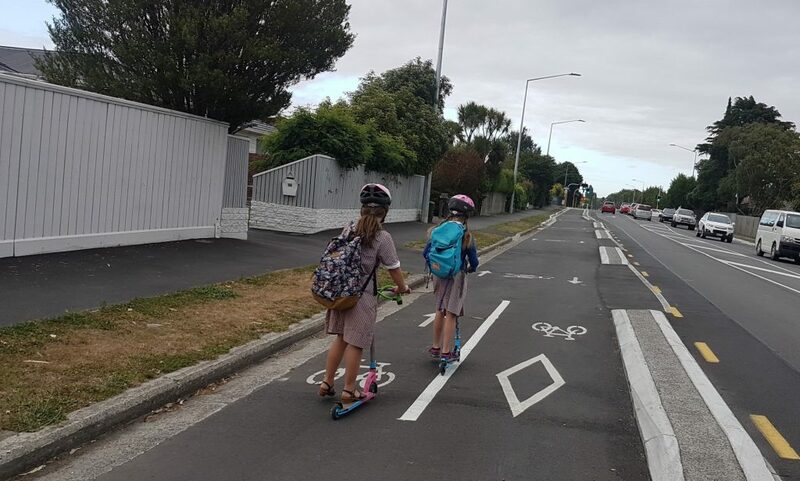 On the school run I’ve noticed a lot of kids using the new cycleways. I’ve also noticed a lot are not on bikes, but on scooters and skateboards. I wouldn’t be surprised if some of the new cycleways have more of these devices than they do bicycles using them. Many are unaccompanied by parents, but plenty are accompanied too. Parking at the local high school indicates a lot of kids biking and scootering to school. Even where there are no cycleways kids are still biking/scootering. The recent “walk and wheel to school” promotion got lots of kids out and about – this was a few hundred metres down the road from the local primary school at about 8:45am. It’s pretty obvious that we need safer footpaths and crossings in our neighbourhoods than what we have here. 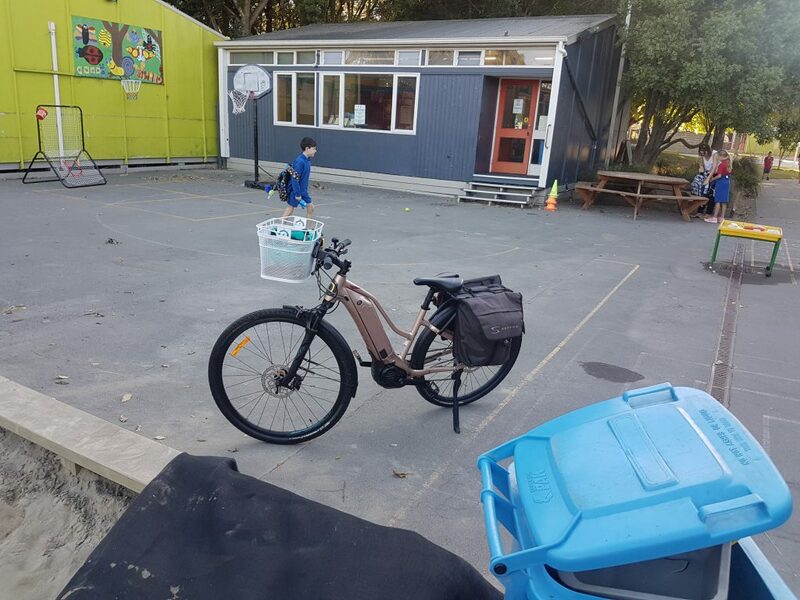 More Mums and Dads are taking primary school kids to school on these chunky e-bikes. 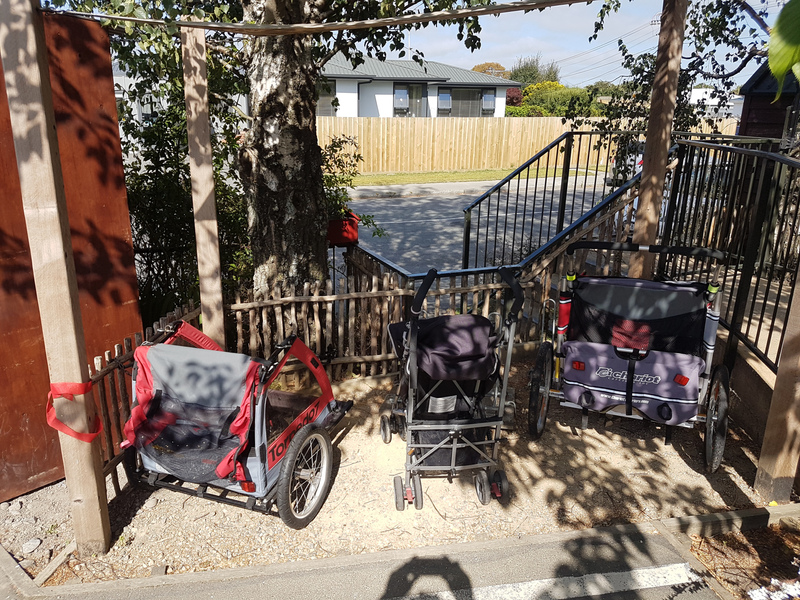 More of these bike trailers are being used to ferry kids to and from the local pre-school. I have a workmate who drops kids off, then carries on to work on this beast. Getting away from the schools and closer to town, the demographic changes to this. Note that there’s both females and males, a range of ages, and people are mostly just wearing regular clothes, not putting on special outfits for biking. I see the odd oversized unicycle too (and this isn’t even on the “Uni-Cycle” route!) – am interested to see if these catch on in a big way or not, or if we start seeing e-unicycles at all. 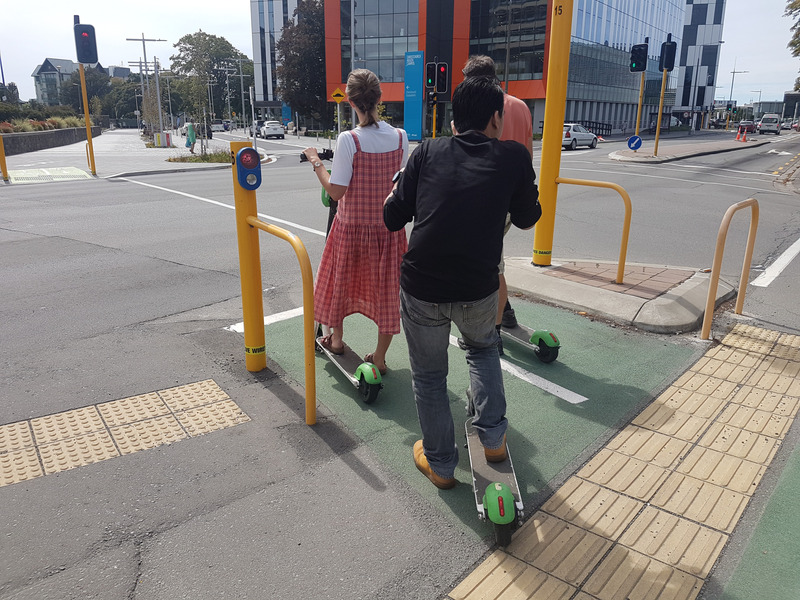 Of course there’s the Lime scooters which are changing the way people view mobility in the city. People using these are almost always just normal looking people of a variety of ages, sexes and walks of life. No one dresses up in hi-viz or lycra for these. 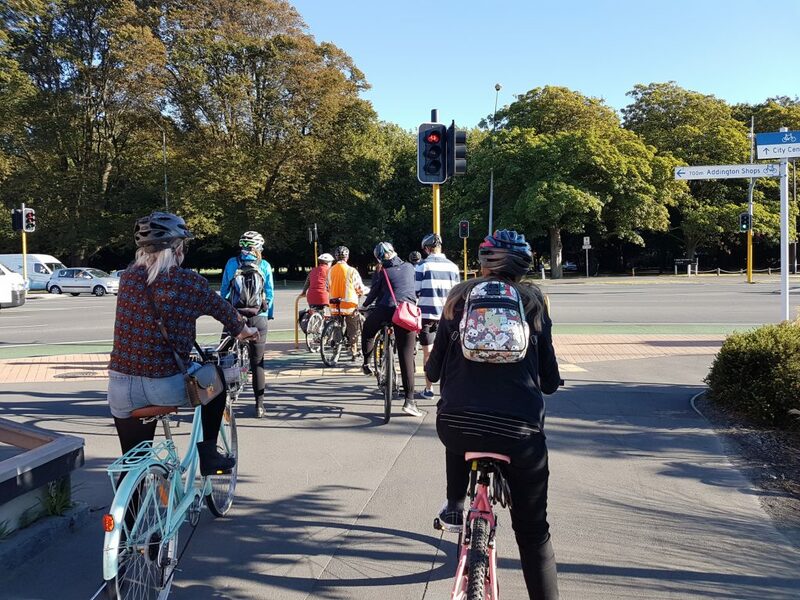 Purely based on observations, I think the demographic of people riding bikes around Christchurch is changing from a small group of lycra-clad athletes, to now include people of all ages and all walks of life. The rise of scooters as similar travel option to bikes is also noticeable, and again the demographic of people using them is broad. 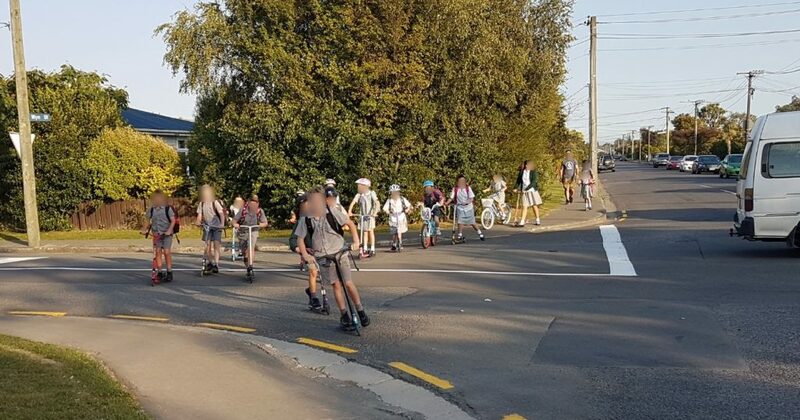 Have you noticed a change in the type of people riding bikes/scooters around Christchurch? Two years on from the Papanui Parallel cycleway completion the transport modes mentioned above are very evident on the pathway through the Rutland Reserve, bikes of all descriptions , scooters, walkers. For the half hour prior and post school times there is real congestion as people make their way to the Paparoa Street School. 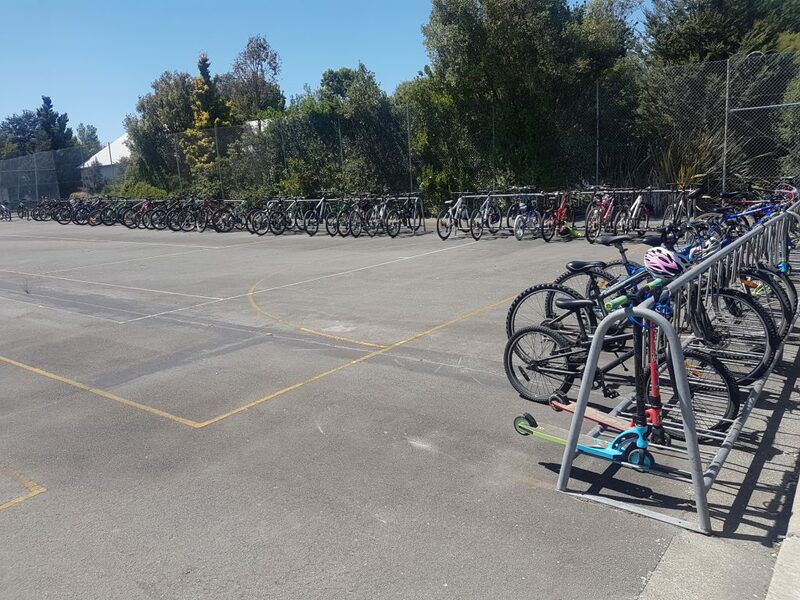 Prior to the cycleway, access to the school from the north required a long walk/bike/scooter on rat-run infested streets, which are to a degree still busy with vehicles. But at least now 100’s are choosing the quiet, safe and enjoyable route which means a social journey for all users. A better way to start the school day. As one of the “lycra clad” that has cycled on a daily basis for the past 10 years, I would say most definitely. 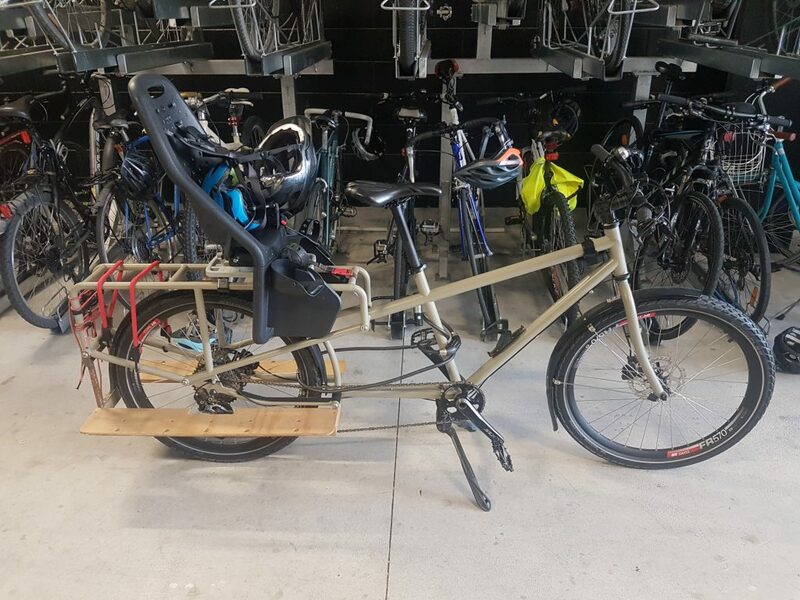 The biggest noticeable difference is you now need to thread your way through multiple cyclist if you want a fast getaway at the lights, and even then you are quite often beaten by an electric bike. It’s great, more bikes mean less cars trying to take you out. So, you admit to salmoning ? I find its best to wait your place in line at the lights and move up elsewhere. Commuting is not racing. That said – chasing down an ebike on a non-ebike is kinda fun. I am very pleased with the change in demographics in Chch! We organised an e-bike tour around the bays for my in-laws (all 4 over 60 y/o) last year. Now they all have purchased an e-bike and ride regularly for exercise that they otherwise wouldn’t get. They make the most of it and ride with friends from Moana to the Marlborough Sounds now. 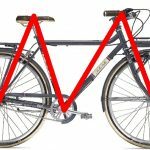 Like elsewhere in the world e-bikes are getting people riding again! But we still need more safe infrastructure in Chch to get them using it regularly. Anouk, do you mean Moana on Lake Brunner? What route do your in-laws take to get to Marlborough Sounds?